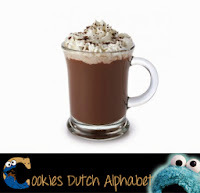 So what else starts with the letter C that is both Dutch and delicious? O me knows! Cake starts with a C! It is different from American cake, where it is more like pie. 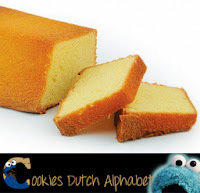 In the Netherlands cake is just plain ol’ cake, made by Farmer’s or Grandma’s recipe. You can get a slice of vanilla, chocolate of marble cake with tea or coffee… You know, like you would eat a cookie. With cake batter you can make all kinds of delicious things like cupcakes and cakepops. 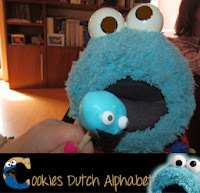 Me knows they are not really Dutch, but Berries sister-in-law is and she makes the most beautiful and yummy cakepops! One time she made me (as you can see in the picture). But enough about cake – or me gets real hungry – me also likes a slice of citroen (lemon) every once in a while. 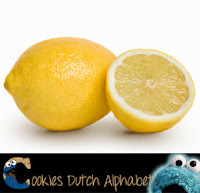 It tastes good with water and sugar when you make lemonade, or just with bubbly mineral water to get a refreshing drink for Summer. A slice of lemon is nice in some cola too. Speaking of cola (also starts with a C in English and Dutch), me love drinking it on the train, like me posted a picture on me Facebook page this week. Usually me and Berry hop on the train from het Centraal Station (the Central Station) in Utrecht to travel to other places, like Amsterdam and Rotterdam. Me loves it. The Central Station is really big and has lots of great stores. Like Starbucks, where Berry gets her coffee and a cookie for me. 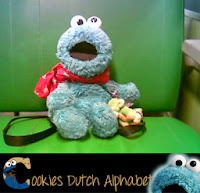 Told ya C was for Cookie… Well that was me blog about the letter C. Next week me will talk about the letter D (surprise). It will be a treat too! Have a nice weekend.